Not a bad reintroduction to this pesky plant, huh? These are common perennial plants that grow well in temperate climates. They reproduce rapidly, effectively, and in abundance, meaning they can be cultivated in great quantities at the same time, per organicfacts.net. They are low in calories and high in carbohydrates and fiber, as well as a good course of vitamins A, B6, C, and K; and among the minerals they contain are iron, calcium, magnesium, potassium, and sodium. 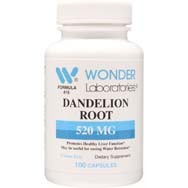 Per verywellhealth.com, dandelion root has been an herbal mainstay in traditional Chinese medicine as well as in Native American treatments, most often associated with stomach afflictions and liver issues. Over in Europe, meanwhile, it has been used for alleviating diabetes, boils, and unwanted inflammation. 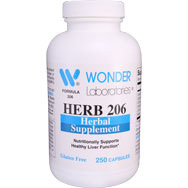 There’s more, per globalhealingcenter.com: Korean herbal medicine uses dandelions for enhanced energy levels. The dandelion plant is also believed to have antioxidant properties. As a bonus, the dandelion leaves have a few tricks up their sleeves, showing promise as a diuretic as well as a plant that promotes the increase of breast milk production in nursing mothers (an attribute known as galactagogue). These leaves also make a nice ingredient in salads or even on their own as a cooked green. Promote bone health. The dandelion’s provision of calcium and vitamin K are essential for bone growth and strength. 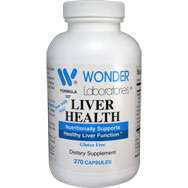 Enhance liver health. 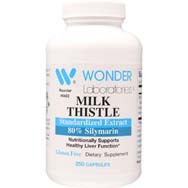 A published study involving tests on mice suggested that treatment with a dandelion root extract could help guard the liver against liver fibrosis related to carbon tetrachloride, per verywellhealth.com. Assist with digestion. Per globalhealingcenter.com, a test of therapeutic herbs (conducted at the Institute of Agricultural Medicine in Poland) for a certain amino acid associated with digestive system support discovered that the highest concentration of this compound was found in dandelion.. Helps treat diabetes. There is some evidence, per ultimatefatburner.com, that dandelions might have anti-diabetic properties because some of its extracts have indicated an ability to curtail alpha-glucosidase activity, similar to some anti-diabetic drugs. Antioxidant. Researchers using rabbits fed a high-cholesterol diet found that dandelion can offer protection from oxidative stress linked to certain circulatory disorders, per globalhealingcenter.com. Treat urinary problems. The strong diuretic qualities of dandelion makes the herb effective in eliminating toxins from the kidneys and urinary tract. The plant’s disinfectant characteristics can also thwart microbial growth in the urinary system, per organicfacts.net. Prevent acne. The sap from dandelions, once applied to the skin surface, can protect against microbial infection, potentially reducing the appearance of acne. Ward off gall bladder issues. Dandelion leaves can aid in the excretion of bile, a compound that promotes more efficient fat metabolism, per organicfacts.net. Weight loss. That, too? Yes, the plant is a nice and dandy weight-loss herb, thanks to its diuretic qualities that translate to losing water weight without side effects. Also, because dandelions also double as sweeteners without the unhealthy sugars, they can help over time in shedding pounds as well. 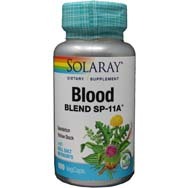 Control cholesterol and blood pressure. The fiber in dandelions can be helpful in reducing cholesterol and likewise help reduce blood pressure, as does the plant’s potassium abundance in replacing sodium, with excessive sodium the enemy of healthy BP, per organicfacts.net.